This Scrambled Deviled Egg recipe is a delightful way to change up your breakfast. Adding the mustard to the eggs gives it a slight tangy flavor that will liven up your morning eggs! I love to have eggs any time of day, scrambled, poached or sunny side up. Eggs are a great quick breakfast that cook up fast when I am in a rush. Lets face it, that is most of the time, therefore eggs are a great go to anytime of day. Will adding milk to eggs make them dry? Some people say that adding milk makes the eggs dry.. These eggs with the added sour cream I found to have extra moisture and tasted wonderfully tangy. What cheeses are good with eggs? 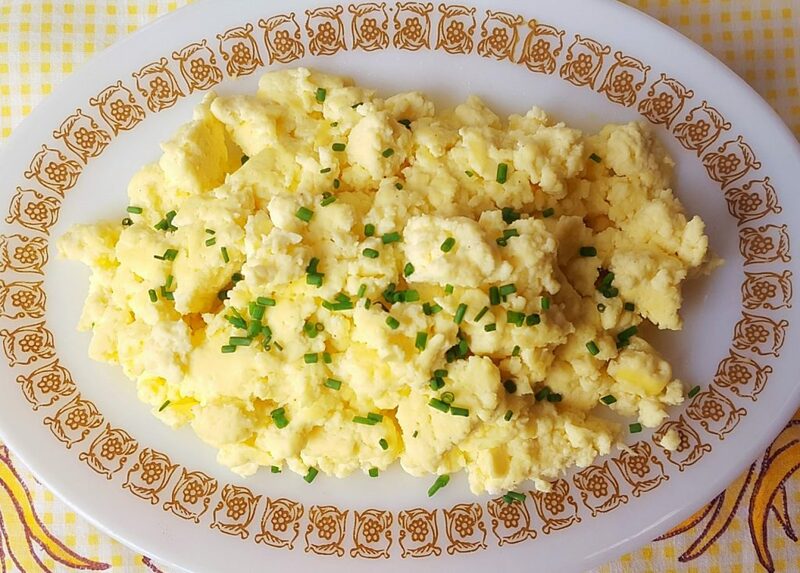 For scrambled eggs, there are a lot of cheeses to choose from, like feta, or really sharp pecorino. A good gouda or the usual go to of sharp cheddar is always great. If you enjoy blue cheese, this is also a good choice. I hope you enjoy these eggs as much as I do, they are a bright and tangy change of pace! 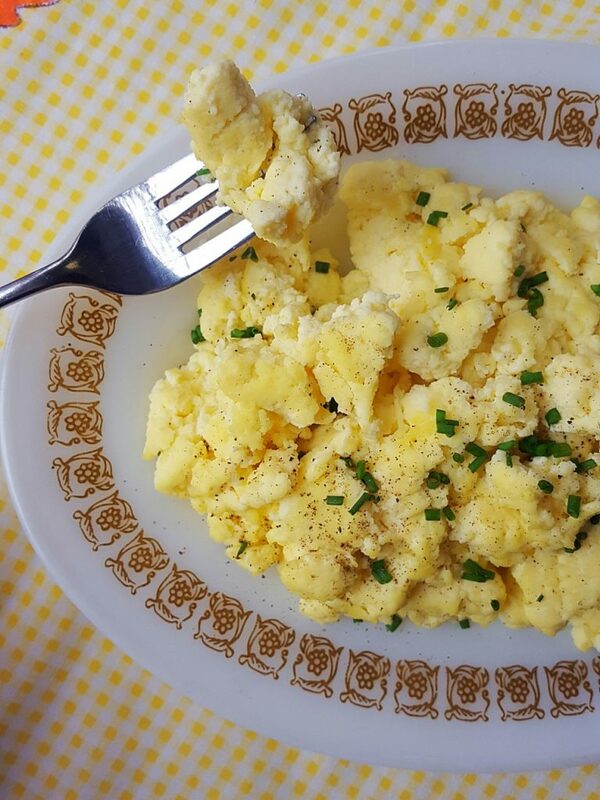 A flavorful twist to scrambled eggs! Combine sour cream, salt and pepper, stir well. Sprinkle the dry mustard into the sour cream adding a little at a time. Mix well. 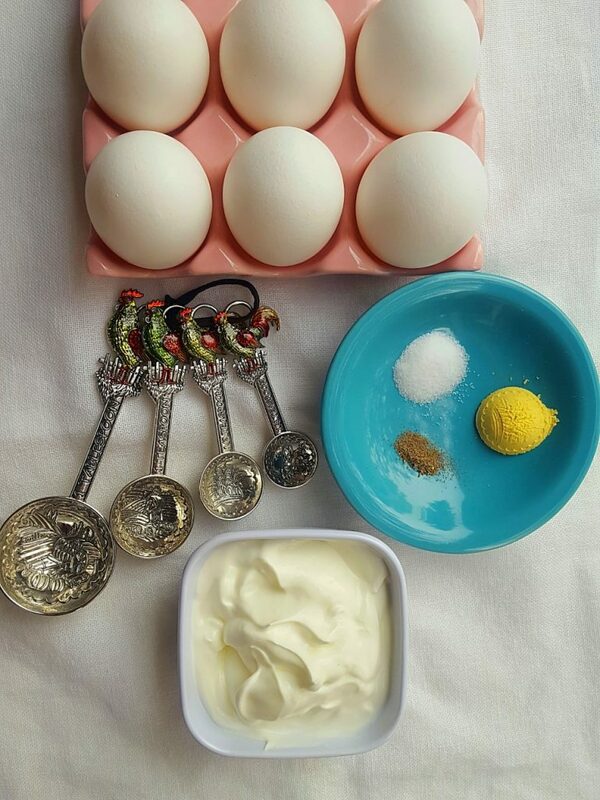 Crack eggs into large bowl and whisk. Add sour cream mixture to beaten eggs and whisk. Add eggs to pan and stir constantly until cooked. Cook until almost all the moisture is out of the eggs depending on preference.